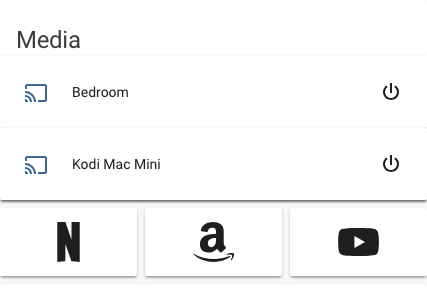 Home Assistant is starting to take a nice shape here in my college bedroom and I’m trying to add even more commodities to it. The last one? Opening apps on my Mac Mini when I’m laying in bed at night. Yesterday I was researching on how I could control my Mac remotely, but then I thought: “what if I use the tools that Apple baked in macOS?”. SSH became the obvious choice. On the machine that runs Home Assistant, generate a new key pair using the user that runs Home Assistant. Then, appended the generated public key to the Mac authorized_keys file. open_website_fullscreen: ssh <mac_user>@<mac_ip> "open -a Google\ Chrome -n --args -app=<website_url>  --start-fullscreen"
Now you’ll see the shell scommand expsed as a service. From now on you can add this service to your frontend, call it from your smart speaker or use it inside your automations.